This was written by Ari Herstand and originally appeared on Ari’s Take. So how do you get people out to your shows? How about selling out, say, a 500 cap venue? That takes a bit more effort. Let’s approach this locally first. Once you’ve mastered these techniques you can take them on the road. Even if your favorite band played in your city every week you wouldn’t go see them. What makes you think your friends/passive fans will want to come see you every other weekend at various bars around town? They’ll just think “I’ll hit the next one. They play all the time!” So don’t play all the time. 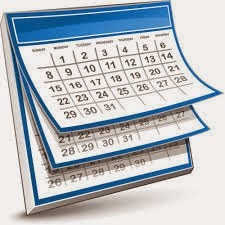 Try setting up a big show every 6-12 weeks locally and 4-6 months nationally. The more people who work on the show the more people will be invested in its overall success. I used to get a street team of 10-20 people for all my big local shows to hit the town at night, in teams, with staple guns, tape, black winter caps and secret code words. II called my team “The Street Stand” (play off of Herstand) and sometimes provided pizza, or took them out to hot chocolate after a cold Minnesota postering evening. But they always got into the show for free and invited to the after party. In addition to postering, I gave them flyers to hand out at work, on campus, and at the bars. Some nights we had Facebooking parties where we all promoted the show video and event on all our friends’ walls. Create a 1:00-2:00 video for one specific show. Include clips of music videos of the other bands on the bill (you can add annotations in YouTube to the actual music videos) and impressive (high quality) live clips. If bands don’t have high-quality video, then at the very least run a photo stream with each bands’ music. Make sure you showcase all the bands on the bill and work with each band to promote the video. Making a show-specific video legitimizes this specific show, transforming it into an event. Get a graphic designer to create a special poster for this one show (with the show title, of course). Depending on your budget, you can screen print a limited number of posters and get all the bands to sign them. Then either sell them or get ticket holders to win them. Use this poster everywhere: Facebook Event, Instagram, Posters, Flyers, T-Shirts, Facebook Ads, etc. The more people who see the poster, the more they’ll talk about it, and the more likely they’ll get out to the show. Whenever possible, try to sell tickets in advance. For one thing, getting people to purchase tickets in advance ensures they’ll actually come! There’s also a good chance they’ll encourage their friends to buy tickets so they can all go together. Offering advance tickets also legitimizes the show and makes people feel more comfortable coming out. Run various contests to promote the show and advance ticket purchases. For one show, I gave advance ticket holders goodie bags containing a poster, stickers and other random, fun nick-nacks from each band. It might be a good idea to give the bags out after the show, though. The biggest complaint was that they had to hold onto the bag the entire night. Also, run contests on Facebook or Twitter to encourage people to share the Show Video and Show Poster. On the Facebook Event page you can explain the contest like “Share this Event (or Video) on your Timeline, invite all your friends to this Event and then write MISSION ACCOMPLISHED on this Event’s wall. Everyone who does this will be entered into a drawing to win a t-shirt and poster at the show.” Then announce the winner on-stage, at the show. Maybe you got 50 people out to your last show, Pink Shoes got 30 to their last show, White Grey got 70 and Tombcat got 25. If there’s no overlap, that’s 175 people that will most likely get out to this show. The local music scene will also love to see 4 buzzing bands on one bill together. Get bands together who are good and buzzing. 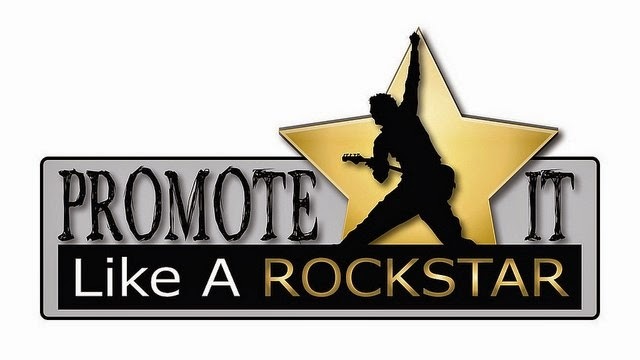 If they aren’t buzzing yet, well, get bands who will work just as hard as you on promo. Don’t bring on a band unless they are willing to follow the promo necessities. Because your show is now an event, you have the ammunition to get the local media’s attention. If none of the bands could get more than a mention in your local newspaper, bringing them together for this anticipated event will get the paper to write about it. Find a local company, brand, newspaper, or radio station that will get behind your event. Consider it a partnership for the evening—where both sides win. Your sponsor gets to be associated with a hot event, and included in all promo. In return, you get anything from airtime, ad space in the newspaper, a writeup on their (high traffic) website, alcohol, cash, printing, the list goes on. The best partnerships deal in trade, not cash. We got a wine company to sponsor the Unknown Order show and they printed all of the full-color posters (some 400 posted around the city), donated a case of wine per band (which was nearly finished during the show – glad I didn’t perform last! ), an ad in the weekly variety newspaper, some air time and other promo. This show sold out 10 minutes after the doors opened with 200 people turned away. Have you had success with your shows? Any unique promo techniques you’ve used? What worked and what didn’t? Share them in the comments! We’re here to hear you. We all know MTV does not play music anymore-that is well-worn territory-but there are thousands of blogs who do love to post videos everyday. A music video that is captivating, colorful, funny, interesting (the list goes on, but you get the idea) greatly helps with a press campaign. The video can be used in the initial pitch to blogs about your album to make for a stronger pitch. Another thing you can do with a video is secure an exclusive premier of the video on one blog ahead of the album release date to start generating buzz. Or if you don’t have the video ready in time for the release, you can also drop it a month or two after the release date as a tool to continue to build awareness and draw attention back to the release. To make it easy for the media, industry, and your potential fans to find the information they need about you, the best thing to do is to create a Digital Press Kit section on your website. This kit will ensure you as a musician to have everything that anyone in the industry might need from you. For example, your fans might go to your website to read your latest blog post or download your latest song. With media and the industry, they’re probably visiting your site to find things such as your official bio, or some promo photos. The Digital Press Kit has all of these in one. Bio-The first element to have is your most current bio. Bookers and festivals often have different needs and word limits for bios, so it would also be a good idea to include a few different versions, including an elevator pitch. Photos/images-The next element is a section with downloadable (professional) photos. Have a few different official photos, with vertical and horizontal options, as well as black & white versions available. Make sure some of them are hi-resolution in case the media person or festival programmer needs to use the image for print. You can also include the image for your most recent album cover, which can be especially helpful for reviewers. Music-You’ll of course need to have your music available to listen to, including a few tracks available to download. If a media person wants to get a copy of your full album or EP for review, just put clear information on who they can contact to get a copy. Video-Many blogs and media sites love to embed videos of the artists they’re covering, which helps make the article more visual and engaging. Embed a few of your best videos in your digital press kit to make it easy to find a quality video that best represents your band. Press articles/reviews-It wouldn’t be a press kit without some press, so post links to a few of your best reviews and interviews. Don’t assume that people will click on each article and read them in full. Pull the best quote from each review and include it underneath the link. Notable achievements-If you’ve been nominated for any awards, charted on radio, performed at noteworthy festivals or conferences, you should definitely include this information. Anything that can help to give positive context to your music and career should be in your digital press kit. Contact info-Although you should of course have a “Contact” section on your website, you should also have detailed contact information in your digital press kit to have everything in one place. Include an email address as well as a phone #, where a media person or booker can reach you if they need to speak to you in a hurry, they’re often working on tight deadlines. Social media-And finally, include your social links on the page so that if the media person or booker wants to quickly check out your social media presence, they have all the links right there. You don’t have to overdo it, simply list the social media networks that you are most active on. Did Usher and Chris Brown just collaborate on a new duet? The hot, new track by Usher featuring Chris Brown called “All Falls Down” might be a part of Usher’s upcoming album. The track has an emotional, R&B tune to it where the two talented singers take part in singing about a relationship’s demise. This isn't the first time the R&B superstars have collaborated. In 2014, Breezy teamed up with Usher on his hit “New Flame,” which was nominated for a Grammy Award for Best R&B Performance. The new record sounds like a masterpiece and has potential to head down the same path as Usher’s other hot records in the past. How do you make sure your fresh, new track sounds like a masterpiece in order to reach the same potential as these award-winning artists? Pro Music Record’s audio engineer is here to help perfect your song by paying attention to every detail and making it sound legitimate. Pro Music Records is partnered with top of the line mixing engineers and has mixed music for Grammy-Nominated Artists. The music production department of Pro Music Records provides you with online mixing and mastering, vocal and instrument tracking, vocal tuning and audio editing. So you already have an idea of how your songs will be played out. Now, you just have to make it sound amazing with a touch from professionals. Check out our music production department and contact us at submissions@promusicrecords.comand we’ll get started. #PMR Webisode - Pro Tips Episode 1 "Music Success In 9 Weeks"
Do you have an EP and/or album ready to be released but not sure where to get started? Pro Music Records and Media Entertainment is your best tool to market your EP/album in the most effective way. PMR is a one stop shop for all your entertainment needs that specializes in brand development. Our mission is to help create an image and brand identity for our clients as well as create buzz about their product or service. Your press campaign starts 2 MONTHS before release. Create HASHTAGS and send a NEWSLETTER out to your fans announcing your special project. Now 1 MONTH before your release, announce pre-sales and merch bundles and blast social media with the news. TWO WEEKS before your release, don’t let your fans forget about your release! Hold a contest to win a copy of your album through social media. IT’S RELEASE DAY! The day we have been working for-create posts about your release on all platforms of social media and newsletters. Update your social media profiles with news of, “album out now” and a link to buy your album. ONE MONTH after release, keep your fans excited with an official music video release. Also get your friends and family involved, ask them to write reviews on iTunes and get the word out on social media-yes, reviews play a big part in album sales. These are our tips for music success in 9 weeks. Here at Pro Music Records, we can help you turn your dreams into reality. There’s a lot to like in the new Fox series, Empire, airing on Wednesday nights. From the entertainment to the authentic music veterans can’t get enough of, Empire is the new hit series you don’t want to miss out on. Whether you love it or hate it, you will understand the show comes from a real perspective and that’s what gives the hit series credibility. Created and written by Lee Daniels (The Butler, Precious) and Danny Strong (The Butler, The Hunger Games: Mockingjay-Part 1), the show is outlined based on real experiences combined with catchy music which is expertly directed by Timbaland. Strong tells The New York Post that the music talent was the most essential part that would either make or break the show. Starring as Lucious Lyon, Terrance Howard plays a music mogul who is on mission to get Empire Records to the next level. His ex-wife, Cookie, played by Taraji P.Henson, comes back after 17 years of doing time in prison looking to continue her contribution to the music label. Lucious’ secret illness though, puts more pressure on establishing his business to where he wants it to be and so, he is in on the look-out for the next candidate to run his business. His top three choices: his three sons. First choice is his oldest son, the Ivy-league educated and business oriented, Andre (Trai Byers), whose wife, Rhonda (Kaitlin Doubleday) is white. Although business savvy, Andre lacks one element that Lucious believes is vital for the head position of the label: musical talent. So that’s where Jamal comes in, who inherited his father’s musical skills. But he also faces a hurdle, something his father can’t seem to accept; he is gay. This storyline is probably the most watchful of the series. Going back to one of the most dramatic scenes already in the show, Lucious dumps Jamal into the garbage can when he sees his son wearing high-heels and has Cookie enraged by his cruelness. The scene had everyone talking but what makes it unique is it is based on Daniels’ own life experiences. Since Lucious’ two sons are not good enough for him based on their “flaws,” the music mogul looks at his youngest son, Hakeem (Bryshere Gray), the wild, aspiring rapper. According to Lucious, Hakeem reminds him of himself. 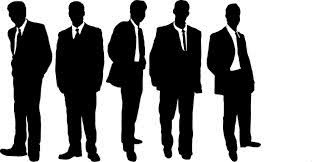 While on the hunt for the best candidate to take over the business, a battle for control transpires which highlights an identity issue; the oldest son is not “black enough,” the middle one is gay and the youngest is the most out there. Daniels’ duty is to capture these issues that take place in the music industry. As said before, some love the plot line and others might have a problem with it because of the controversial direction the creators are taking. However, the reality aspect of the show is what has people talking as Fox’s most vibrant drama in a while. Does Empire inspire you to be a part of the music industry? Maybe you already are, but you are interested in becoming something bigger. 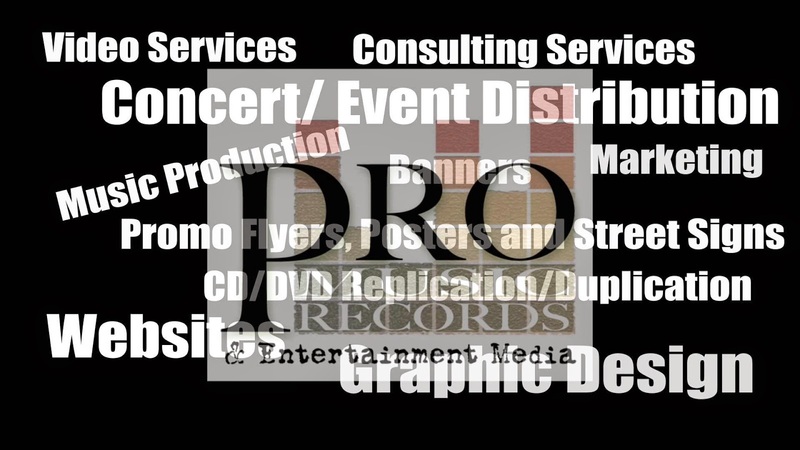 Pro Music Records and Entertainment Media specializes in branding and marketing your career. If you have work you want to share and promote, submit it at submissions@promusicrecords.comand check out Pro Music Records Services for more info. Those were just some of the words, some of the most reasonable words, from Kanye’s rant at the E! After Party after once again, jumping on stage interrupting another artist’s speech for winning an award. There has been a lot of buzz over the moment and by now we understand everyone has their own opinion about what “artistry” is. Art is expressed in different ways. Beyoncé, Kanye, and Beck are all artists in their own way. Kanye is just being, well, Kanye, and expressing his opinion which he has a right to do. He was probably speaking for a lot of people when Beck was announced as the winner of that category going against artists like Sam Smith and Beyoncé. But that didn’t give Kanye the right to disrespect Beck and interrupt his moment. With that being said, musicians get to inspire people every day in different ways. There isn’t only one form of art. In fact, what makes it even more interesting are the various styles. If it touches you, then that musician’s job is done. Do you have work that you think may inspire people going to work every day like Kanye stated? Well you’re at the right spot to express your creativity. 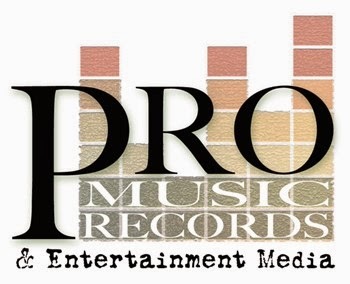 Pro Music Records is open to all genres and fields of the music and entertainment industry. If you think you have what it takes, then submit your work at submissions@promusicrecords.comand check out Pro Music Records and Entertainment Media to take a look at what we can do to get you up to the level of credibility, yet, still express your own style. Remember everyone has their own form of art and you never know who you might be inspiring. It might not be the same taste as Kanye’s, but that is still okay. The biggest frustration that can happen for an up and coming artist is to not be able to afford or get access to all the necessities they need to branch out. How do I make sure my song is quality music? Where do I get the equipment to make my music video? What if I can’t afford the equipment? These are just some of the questions running through the head of an independent artist. It’s like college all over again. You go through this process with a goal to be successful and you end up defeating the purpose by paying your way through it and finishing with nothing. You win some, you lose some. Well good thing, Pro Music Records & Entertainment Mediais here to help. From music production to promotions and marketing, you can start your brand from scratch and receive the publicity it deserves. At Pro Music Records, we provide the assistance to market your brand. Our dedicated team of professionals can customize your promotional package and create you a music video representing your style. Check out our YouTube page for some of our work and video inspiration at https://www.youtube.com/user/proentertainmenttv. Also make sure to drop by at our marketing page to educate yourself on the steps on how to promote your brand! Start your transition as an up and coming artist here: http://www.promusicrecords.com/marketing.html. New Video: Common & John Legend - "Glory"
Congrats to both Common and John Legend on their big Golden Globe win! Today they drop their new visuals for "Glory" from the new movie Selma in theaters now. Do you have a band? Are you ready for a music video? Pro Entertainment Media and our film and video production division, are pleased to serve you in the visual presentation of your select songs. Allow our award-winning team to create a quality, unique, HD visual picture that will showcase your musical talents and fully personify you and your music. How much your music video will ultimately cost depends on your production goals. 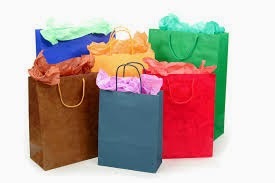 Let us customize a package to meet your needs! Call us at 818-971-9301 today for a quote! 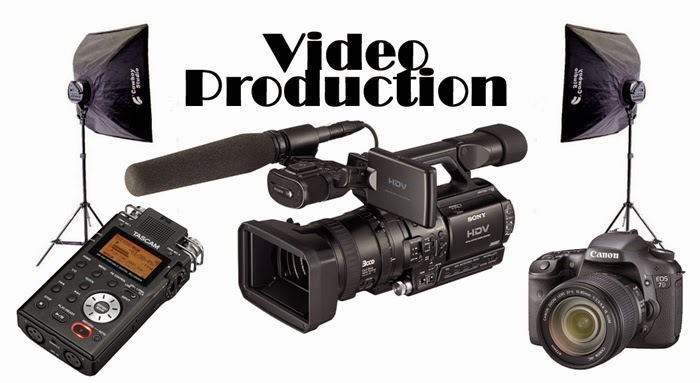 At Pro Music Records & Entertainment Media, we have a team of professional videographers specializing in music videos. You can check out some of our work on our personal YouTube channel here: https://www.youtube.com/user/proentertainmenttv. We are a team of artists ourselves who enjoy helping other artists. Our pricing is always set in the intentions of other artists. We're all just trying to do the same thing you are, which is to share our talents with the world. What better way to start the new year than with a new music video show casing your new work. If you are an artists looking to shoot a music video check out our website at: promusicrecords.com. If you are an artist who still needs mastering done on a song, we can introduce you to our producer. We would love nothing more than to be that helping hand you've been looking for and get your music were into the hands of the right people. Take that next step, get your professional video ready for the new year! Write as much as you possibly can. Have songs constantly going out. As stated in the title, do not be a perfectionist. The idea is to improve over time, not to sit down and instantly have the song flowing out of your mind onto your paper. Give yourself the time and freedom to experiment without pressure. This way you will develop the creative side of your brain instead of the over analytical part. Be fearless with your songs. It IS okay if you write a terrible song. What’s not okay is trying to convince everyone that it’s a wonderful song. That just makes you look bad. Allow people to give you their honest opinions. Take note, and start to learn what actually works. As you learn to write songs we naturally analyze what works and what does not work. We absorb new chord structures and develop an obsession for doing things the correct way. This is great for improving song writing, but somewhere along the way you may lose the ability to invent something new. Don’t be afraid to break the rules. If it sounds good to you then do it. Bring your own unique flare to the song. It’s okay to fail because thats how you learn what works or more so what doesn’t work. You do not have to start out with a load of born talent. If this is something you love doing. Bring that passion and love to your song writing and then, just like anything else you can become one of the best talents in the industry. Believe in what you do. Own it or else no one else will. Once you have the technical knowledge you need to write music, try to develop the part of your brain that can listen to and analyze the whole picture rather than simply focusing on tiny details. You should be able to hear what is needed to make your songs work. Does it need more emotion? More energy? Is the vocal melody boring? If you were only the listener and not the writer would this song catch your ear after the first listen? In focusing on the whole picture you are able to find the answers quicker by being honest and brutal with yourself. We all know that there are common lyrical themes in music. I would guess that the topic of love is the most widely used lyrical theme. Using tried-and-tested themes can be a good thing, but you should always try saying it differently. Bring your own unique flare to the situation of the song. So many musicians agree that the best songs are the simplest, yet they cannot seem to write simple songs themselves? It’s like a musicians curse to assume that complicated means better. Get used to writing simpler songs that have more hooks and adhere to common (natural) arrangement structures. Even if you don’t like working with others, try it! You will see that in most cases more creative brains put together (not too many) are usually better than one. Working with other artists forces you to move away fro your comfort zone and potentially write better songs. This also allows opportunity for in put from other artists. Have you ever worked on a song for hours upon hours and been completely disappointed with the end-result? It happens! Doing anything creative can lead you down a road of endless ideas that without breaks will cause you to walk down the most frustrating of roads that possibly leads to complete kayos. So give yourself a break, relax, and enjoy what you are creating. Now, can’t wait to hear your song playing on the top ten! Own it! This Friday (December 5, 2015) “CBS this morning” unveiled the 2015 Grammy Nominees! The 57th annual Grammy Awards will take place on February 8, 2015. More nominations will roll out throughout the day and we’ll keep you in the loop as they do. But you’ll have to wait until tonight’s one-hour “A Very GRAMMY Christmas” special to find out which releases are up for Album of the Year. If you’re "Grammy Nominee worthy" but have yet to be discovered, See promusicrecords.com. We work with artists who aren’t quite ready for the hollywood scene and still need mastering, music videos, bios, etc. all the way to artists who already have their work ready to go. We work on placing songs to get your name out there, and help to get you making a living off of what you love doing. We also work on getting artists signed. Now, check us out, and lets get you to the next Grammys! Every musician longs to know how to go viral with their music. It’s a completely creative process that is different every time. The “magic” process is hard work. It’s all about you, and the vital energy you put into your promotional outreach should be of the same intensity as the passion that you are putting into your music. With that, there are a few core principles that can significantly help independent musicians. Rather than cripple yourself by thinking of how much you have to do before you can be successful in the future, focus on the now. What can you start doing TODAY, right now, that will push you further towards your goal of success. It’s great to be a dreamer. I am one myself, but, when you think too far into the future it can become much like your same dream of winning the lottery. The practical details get lost and we end up discouraged, defeated, and far more likely to quit. I get it, you want to get in Rolling Stone but, do you ignore the hundreds of independent publications who would be more willing to help you? Also, do you want to be signed to a label when you haven't even played outside of your circle of friends and family, advertised your social media, or made any press noise? While it’s completely fine to have an end goal, your primary focus should be on the steps to getting there and not the outcome. Do you really want to get noticed in Rolling Stone? Well, then look at all of the very small tasks you need to be taking care of to make that happen from advertising to search engine optimization to PR outreach, to radio, to licensing, and more. Do all of this one step at a time and suddenly your path to success isn’t so overwhelming. Don’t forget the reason you started this journey in the first place. So yes, it takes a lot of work, but don’t become so overwhelmed with the final destination that you forget to enjoy the journey. When you reach out to anyone, whether it be an industry professional, a company, a blogger, or anyone you respect, it is important to personalize your messages with genuine opinions on their work. Save a draft e-mail as a template and adjust a few sentences every time. Ask for their advice or expertise rather than asking for help. Often with the advice will come a helping hand. Always stay humble. Don’t be needy. Nothing is worse to someone who is busy with a million other offers on their table than a desperate beggar. Be confident and show that you can stand on your own two feet. Mention that you want to learn and let your music speak for itself. Not everyone has to love your music. 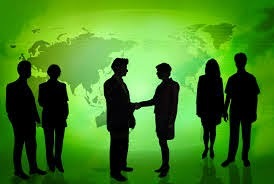 With time and effort the right people will want to lend a helping hand on your project. 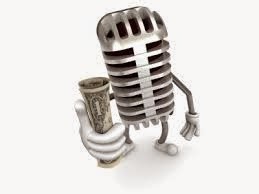 When you release your music professionally, you are a business owner. You’re not just an artist. Its critical that you get your mind out of the music scene by constantly keeping up with the business aspect of the music industry. Remember that this is always changing so keep up with it by either hiring help or research, read books, etc. This will give you ideas that you will never find within the indie artists sphere, and many more of them are more applicable than you’d realize. Think outside the box. Be everywhere for everyone, regardless of income. Music listeners have become increasingly segregated. Some only discover new music through Rdio, Spotify, etc. Some people browse iTunes or CDBaby. Others look to underground music websites, music discovery platforms and torrent blogs. Do not horde your music waiting for 99 cents. Popularity is the most critical goal for independent artists. Money follows popularity. Remember that. Yes, sorry to break it to you, but, there is no such thing as a “big break” in the idea that fame and success happen over night. Artists you are just hearing about have actually been around for years. Shocking, isn’t it? Believe it or not, the artists who are on mainstream radio right now didn’t just start making music a week ago. Most of the artists who create a big name for themselves have been doing their own thing for years-sometimes 5-10 years of performing independently. No one “makes it” over night. If the average artist truly understood this, they would take their day-to-day pursuits much more seriously. Every big goal is the sum of a ton of small goals. Exposure doesn’t just drop out of the sky for you. It involves countless days of hard work. Even when you feel your small goals are too small, they’re not. Let one build upon the other and you’ll start to see things come together. Your “big break” is a series of many small successes. It is all about who you know. Many artists hate the word “networking”. I get it, it can be consuming and feel like you’re giving up on the idea of getting by with your pure talent. But, how can you expect your talent to “break out” if the people holding the key to your door aren’t hearing what you’ve got? You need to show up! These people need you just as much as you need them. Remember this and believe in yourself. With dedication and hard work your art will bloom. The right people will see this, and can help you get to the top. Could Pro Music Records be the key to your unlocking your door to success? Check us out today at promusicrecords.com. You must know at least the basic rules to live by in order-to succeed at all in the music biz. A musical product that consists of at least a cover song. An original song is great, but a cover song that is already being searched by fans means potential fans for you. Just make sure you have your own original twist on the song. The first 20 seconds of the song should be flawless in order to keep your listener interested in the rest of the song. Imagine how easily you, yourself can flip through different artists/songs if you aren’t interested. In order for someone to buy your music, they need to really be moved by you. Business savvy. Most artists HATE acknowledging this. They believe the idea of “business” and “artist” are complete opposites. Just because you’re taking over the business side of your art doesn’t mean you’re “selling out” as an artist. It means you’re being smart. Constantly search for new ways to teach yourself about the music industry. It changes all the time. Keep up with seminars happening in your area and get yourself connected. Learn about places like Pro Music Records. Where you create the opportunity to have your music submitted and placed to multiple different labels, TV shows, etc. 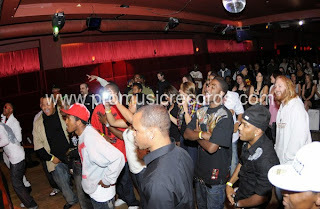 Check out promusicrecords.com today to get yourself started on a new path to success. Check out our twitter and Facebook to see updates on what we're looking for! Pro Entertainment Media can help you reach the #1 position in Google´s Search Results! We want to you help to scare your online competitors, and drive more traffic to your website! Our top SEO Tips will help you boost your online visibility and scare your competitors away. 3. 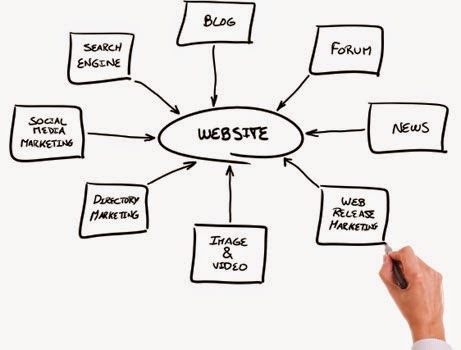 Facilitate user navigation to the key pages through good, relevant internal linking. 4. Guarantee fast load times. 5. The brand path is a path worth following. topic-related niches - and rank higher than the big brands. in order to optimize the user experience. 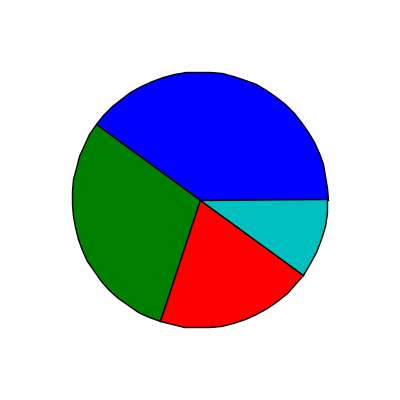 and, with regard to readability, is tailored to the target group. relevance factor, but it's quality, not quantity that matters. optimal technical performance, in order to improve user signals (time on site, bounce rate). For those of you who haven't heard, as of last Monday, Nominees for the 2014 American Music Awards have been announced. Just a side note for all of the dreamers out there, if you're wishing of having you're name on that list and you have this crazy drive in you that knows you can accomplish such a goal, then take the initiative to help yourself out here. It's hard work, but there's curtain companies out there that can do the heavy lifting for you, and actually want to help you get your name on that awards list. Aussie rapper Iggy Azalea comes in at the top with a total of 6 nominations. John Legend, Katy Perry and Pharrell Williams are all up for five nominations each. Lorde is in the running for four honors. Beyonce, Eminem, Imagine Dragons, OneRepublic, and One Direction were all nominated for three awards. Drake, Luke Bryan, Sam Smith, and Bastille each received two nominations for the fan-voted awards show. Winners will be announced along with live performances on November 23 through a live broadcast held at the Nokia Theatre at L.A. Live in Los Angeles, CA on ABC starting at 8p.m. If you are ready to take your music career to the next level and be apart of the biggest events in the music industry submit your best songs to submissions@promusicrecords.com. Having a strong online presence is vital to a musician’s career, but standing out and gaining a following in today’s YouTube/Social Media generation is no easy task. It’s easy to get buried in an internet search-pile and remain unknown and unnoticed. Create a visually stimulating website that effectively communicates the musician’s style and message. Develop a strong reputation on major social media accounts that exhibits professional photos, music recordings, and videos. The key to an artists’ success is to learn how to effectively promote oneself so that he or she can find, build, and maintain an active, engaging fan base. While these are the cornerstones of developing a fan base, (and an image that record labels will find desirable), these tasks alone not enough. 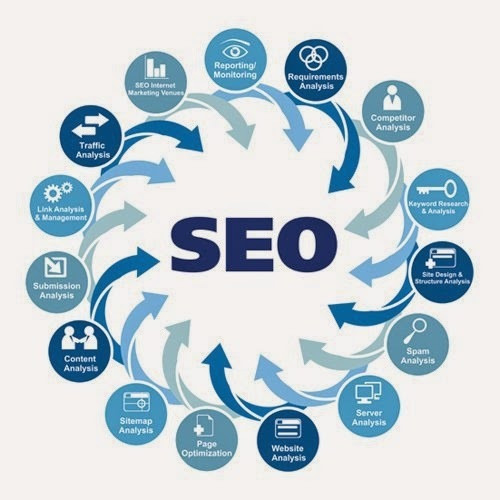 Without integrating strong SEO (search engine optimization) methods into your website and onto your social media accounts, you can still get lost in the already-inundated market. In a matter of months, Pro Music Records & Entertainment does for artists what takes artists years to do on their own, (without the struggle, guesswork, and uncertainty). From guiding, developing, and recording top-of-the-line work, to creating and maintaining a fan base, Pro Music Records & Entertainment uses our experience, research, knowledge, and personal guidance to help launch lasting careers in the music industry. 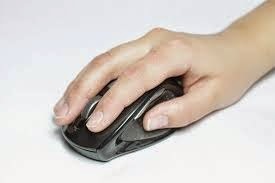 When a music manager or A&R department receives music submissions, they often tend to skip over e-mails that are incomplete or require too much work when it comes to listening. Moreover, an e-mail that barely contains a message, bio, or any contact information is most definitely going to be moved to the trash. While the quality and content in your music is of primary importance, getting your foot in the door is the first step. Don’t make the following mistakes and you can rest assured that your music is, at the very least, being listened to. 1 - Sending Incomplete Tracks. There’s no point in sending something that doesn’t represent you as an artist to the best of your abilities. Waiting until your song is mixed and mastered allows the concept and personality of your music to shine through. 2 - Attaching the Song with No Concept. A lot of times, when a song is downloaded from an e-mail it shows up anonymously (ie. “track1.mp3”). This offers no information about you or your story. You’d be much better off attaching an EPK, or at the very least a photo, so that the receiving end actually has some insight into what they are listening to. 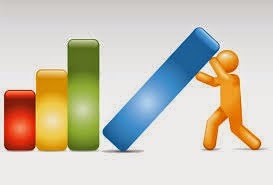 Adding links to your site and social media pages also shows that you have an online presence. 3 - Messy Files. When you attach too many of your files to an e-mail in a disorganized way, managers get fed up and are more likely to skip to the next submission. Your best bet is to put your soundcloud, reverbnation and bandcamp links in the body of your e-mail. This showcases your work in a clean and efficient way, allowing people to listen to even more of your songs without the hassle on either end. Use safe links to popular platforms. 4 - No Contact Info. Too often e-mails get sent without any contact information. As silly as it may seem, make sure you write your full name with your phone number and e-mail address so that if someone likes your work, they can actually tell you! 5 - Little-to-No Bio or Press Release. A poorly written bio or press release is an immediate turn-off. Providing too few details or even too many can instantly send a message about your professionalism as an artist. While there is no need to write a life story, it is important to create a brief and relevant bio about where you’re from, what kind of music you create, and what you’re doing now. Pro Music Records & Entertainment Media can make sure that you have the tools to send a complete e-mail music submission that gets you heard. From a website to a well-written bio to a thorough press release, we do it all. Visit us at www.promusicrecords.com for more information. Independent musicians often tend to think they can do it all, but the reality is that everyone needs help. Running a band like a business requires tools and outsourcing. Not only is it necessary to be a great musician who plays great music, but you’ll also need to promote yourself. This can be done in a number of ways, but an important one is building and nurturing relationships with fans. Turning strangers into fans is your main goal. You can also achieve this through your social media profiles by interacting with followers. Those fans are the ones that are going to spread your music like wildfire and attend your shows with their friends. Commenting on their content is going to keep them interested in your work. You can also use these platforms to build excitement and momentum before releasing your singles and videos. But, in order to be successful, you have to be in it for the long haul. Daily work of promoting, booking, designing posters and mercy, selling, and touring is all part of the game. To keep progressing, you need to leave time to write your music, of course. Setting up a promotions and marketing plan is going to allow you to focus on what you do: music. Pro Music Records can set you up with a Project Manager to keep your social media up and running by posting new content and attracting more fans. A website, blog and merchandise shop can also be set up so people have even more ways to find your music. Allotting some of your budget now to maintaining these crucial aspects of running your business will guarantee you success for years to come. If you haven't seen this music video for "Big Booty" by Jennifer Lopez featuring Iggy Azalea, you need to press play asap. This video is at 33 million plus hits and counting, and it only came out 5 days ago. Now not all the feedback is positive, but people are watching regardless. There's a lot artists can learn from a video release like this one. First of all, the ad at the beginning of the video is making J. Lo and her record label tons of money, but ads only come once you're bringing in enough traffic. In other words, popularity can go a long way even if not all the responses to your content are positive (let the haters hate). That being said, however, you should absolutely strive to create relevant, engaging and high-quality videos. Though music videos aren't necessarily played on network television like MTV anymore, that doesn't mean you can't leverage them to help boost your career. They can definitely make money on sites like YouTube and anywhere else they're promoted, but more importantly they keep your fans interested in your work. Releasing content, from a full performance or narrative video to behind the scenes recording your new album, is just another way for you to reach out to fans. These videos can then be promoted on your social media sites, which gives them the possibility of going viral and you the possibility of becoming the next #1 artist. 1. Put it in perspective. The number of YouTube hits you have on any one video can communicate more than the number of sales that were made. For example, a video that has 50 million views may only have sold 50,000 units. Though this number may seem low, today’s industry actually deems it a success. 2. It’s what you can do for others. 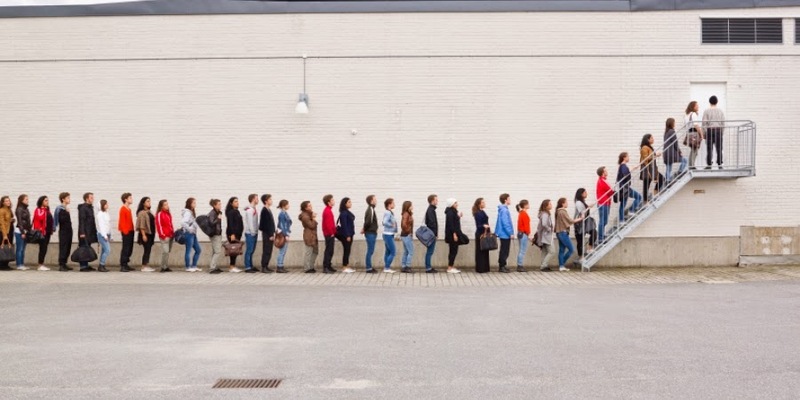 If you can prove that you will bring ticket sales and a line out the door, promoters, agents and club owners are far more likely to book you. 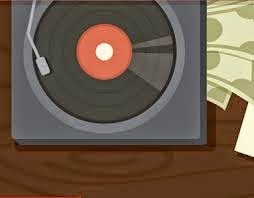 Record labels will want to sign you if you already have an audience they can sell to. 3. Money will most likely come later. Real success doesn’t happen overnight and you’ll need to grow your audience little by little. The longer it takes for you build your fan base, the more likely you’ll have a long-lasting career instead of being a one-hit wonder. 4. Create music regularly. 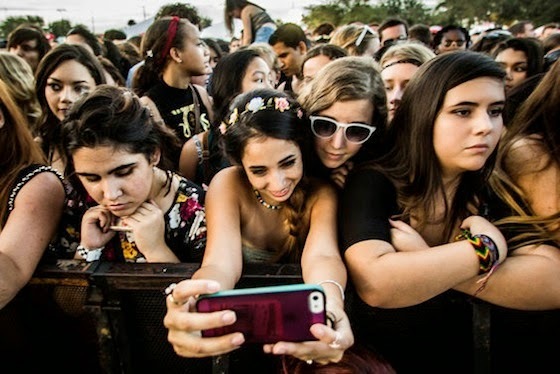 With so much music available on the internet, fans have a shorter attention span than ever. Keep them excited about your music by putting out songs, even if they’re just acoustic covers or lyric videos, to stay at the forefront of their minds. 5. Cultivate an organic audience. Friends and family are great for spreading the word about your career, but they don’t count as real fans. Finding an audience that loves your music without even knowing how great you are as a person will result in a loyal fan base. However frustrating it may be, streaming and piracy aren’t going anywhere. It’s time to start embracing alternatives to generating income by looking to diversifying streams of income. Licensing companies and publishing deals are becoming more and more popular. These resources help artists get their music placed on TV shows, in movies and commercials. The solution? Adopt new ways of spreading your music and becoming successful. The technologies that are available to us today to build relationships with fans on social media and other sites are a great place to start. 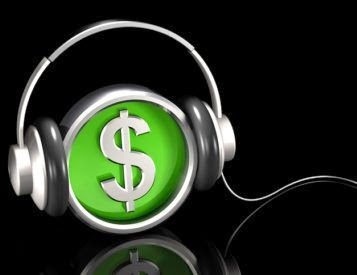 And, with the option of submitting music to a licensing or publishing company, monetary success can become a very tangible option. Pro Music Records can set you up with either an exclusive publishing deal or simply submit your music to as many music libraries as your budget allows. The greater the number of submissions, the better your chances at landing a placement and making thousands of dollars through entertainment media. Please visit us online at www.promusicrecords.com to find out more about our licensing opportunities and take your music career to a new level! Navigating the music industry can be tough, but there are four basic ways to ensure your career isn't a flop. Pro Music Records has the tools to help you avoid these mishaps! These days, having a solid fan base is essential to even getting noticed by a record label. They want artists who are working and developing their fan base, which means that you need to make sure you’re fulfilling fans’ needs (ie. putting up new material often, interacting with fans through comments). Be everywhere. Not only do you need to be on Facebook, YouTube and Twitter, but using other platforms like Instagram or blogs can help reach your target demographic. This will make it easier to interact with your incoming fans, too. Selling a variety of merch at all your shows (and online) is key. It helps pay for all the little things that got you there, like gas and food. Not only does your stand or site need to exist, but it needs to be easy to get to and easy to purchase from. A strong, well-crafted press kit can greatly increase your chances of getting into a venue or onto a radio station. With only a few slots to fill, you’ll need to be noticed immediately through your marketing materials. A powerful bio, press release, EPK and one sheet can ensure your submission won’t simply get deleted. For music promotion services to get your work out to radio stations, blogs, podcasts and magazines, as well as merchandising and publicity services, visit www.promusicrecords.com. 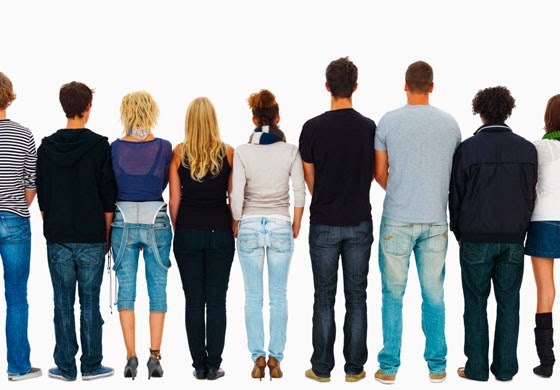 We’ve all heard the term “millennial,” which basically refers to the generation of young adults in our world. This demographic, which makes up 2/3 of any music artist’s fan base, has different expectations, spending and consumption behaviors than others. Recognizing how building brand loyalty among this sector can greatly contribute to making you a successful working artist. Millennials love music and are interacting with artists in different ways than previous generations. When reaching this group with music, it can be simple and easy with the many available avenues on the internet. Social media efficiently reaches the widest audiences, sharing your music on Facebook, LinkedIn, Twitter, YouTube, and Instagram. Listening and online interaction data can help marketing teams decide who to target with your music. Identifying who is watching your videos based on comments or likes or can help you accumulate even more fans. Given the wealth of information accessible to us through social data, understanding the audience you are trying to reach with your music is key to a profitable campaign. It can be tricky to know how to use the numbers available, so hiring a marketing manager can be an efficient way to carry out your campaign. Here at Pro Music Records we use the data to hone your primary audience, which may very well be millennials, and promote your music specifically to them. This can help your fan base grow exponentially, the crucial aspect to generating revenue and popularity in the industry.